Congratulations! Now that you have successfully launched your app, it’s time to reach the maximum number of people you can make them download your app. There are over millions of apps to be found across platforms of iOS, Android, and Windows, where your shopping app is just a minute spectrum. A marketing strategy is therefore needed to help you make your mobile app stand out from the crowd, and for this you need to understand first what winning points make your app better than the rest. Suppose you have launched a comparison shopping app in the market recently. How do you plan to promote it? What would be your advantages and the disadvantages? Having a clear view will give you a clear insight how to approach the market with your key highlights. There are two kinds of marketing strategies to adopt, when you are out there promoting your app – 1) organic promotion and 2) paid promotion. Paid promotion is great, but organic promotion is even better. When combined, both can give you serious results that were never before thought of. Take a look at the following strategies to get started with your post launch mobile app marketing strategy. This is very important if you want your users to be loyal in the long run. One way to do it is by asking your users to rate or review your app. It is usual for customers not liking to do the extra task, but you can adopt an altogether different strategy to lure them into doing it. ‘Move the Box’ is one such app that offers virtual currency tokens for a review that customers can earn whenever they rate the app. On an average, a smartphone user downloads 25 apps or more than that. That means the number of notifications he/she receives is multiple. This leaves the user choose only those that he/she finds relevant, leaving the rest. It might even go unnoticed if your application notification consists of only bug fixes. Therefore, try utilizing this notification space as a marketing channel to notify users on special offers and arrivals. 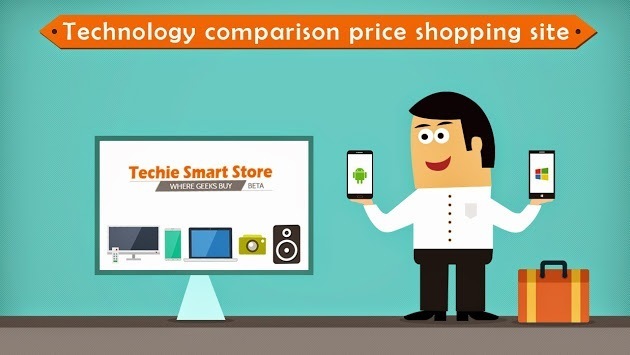 Techie Smart Store is a comparison shopping app that makes the smart use of the price alert feature. Here, buyers can choose a price range of their choice from the drop down menu and set up a price alert for a particular technology based product. Whenever there is a price fall in the market, the app sends users email notifications to report about the new price alert of their choice. Words can travel faster, and satisfied customers can help to make them reach a specific target audience. Therefore, always ensure that you have got a good customer support system ready to provide timely help whenever there is any need. Make sure to reply back to customer queries on the same day, along with a support mail. Some apps receive a highest percentage of downloads when they are reviewed by media sites. This is because these sites have their team of specialized gadget and app review experts, whom customers tend to rely on better when it comes to deciding which one to go for. An example of some of these sites includes those related to tech news, media, and other related press. Do a good research on the guest authors who write for these sites before you decide to make an approach. Try to understand what kind of articles do they write – is it that they are eager to write a breaking news, a popular article or something that is completely new and different out in the market. Then go pitch them about what new features your app has to offer that sets you apart from the rest. When you ask someone to write an app review, the author will use two kinds of referral links here. One will be linking it to your website page, and the other would be linked to the detail page in the app store. Make sure you have a great landing page that will help to turn your visitors into customers. You might be having all the details mentioned in the app store. However, the information provided is very limited and might not lead to a good user experience. On the other hand, a landing page can turn out to offer a satisfying user experience along with quality rich content – all that you need to make your customer convert. With the Google now placing a strong preference for mobile search friendly websites and app indexing for better ranking, mobile marketing is now facing stiff competition. While you are there in the race, a quick note of these following tips will help you to meet every obstacle with a better marketing strategy. Thomas Miller is the senior most marketing analyst and advisor. His 9 years of expertise in online marketing enables him to serve both B2C and B2B communities with better guidance.